Pie-Making 101: How I Overcame My Fear Of Crumbling Crust. If you listen to my story on Morning Edition, you’ll understand the generational divide that has led to my fear of making a pie crust. So when I decided to overcome my fear, I did it the right way. I hopped on a train to the Culinary Institute of America, the nation’s premier cooking school, in Hyde Park, N.Y. 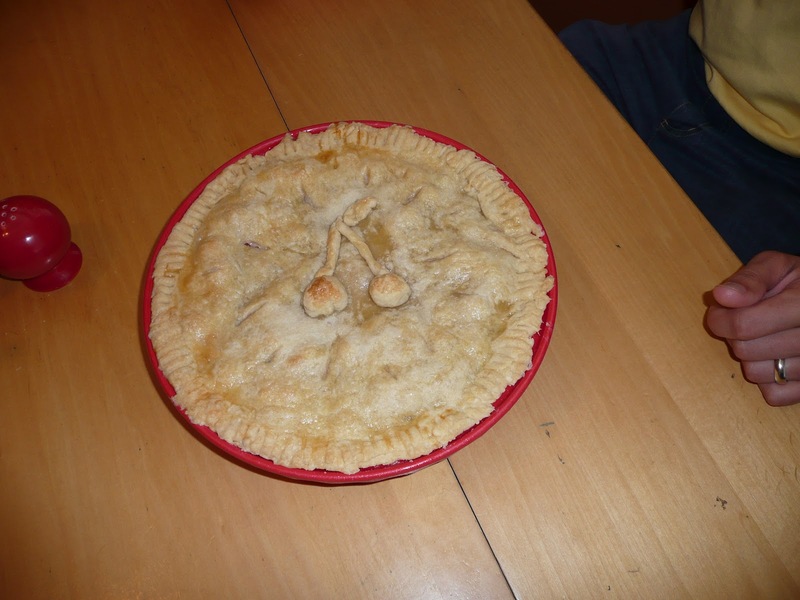 There I learned the foolproof pie crust formula that chef George Higgins teaches his students. “It starts with 3, 2, 1,” he explains. That’s 3 parts flour, 2 parts fat (butter), 1 part liquid. We’ve laid it out for you in pictures here, to make it easy. And we also share his family’s impossible-to-resist blueberry pie recipe that is made with a flaky crust. But it takes just a bit more than that.Higgins says a successful baker likes precision. So be sure to measure accurately. Then, of course, there’s the technique. The biggest mistake I made — and this is a pitfall for lots of newbies — was overworking the dough. Chef Higgins made me toss out my first attempt and start over! Less is more. Higgins taught me to handle it just enough to form the dough into a ball. (Kneading is for bread, not pie crust!) It’s supposed to look like it’s barely holding together. Your butter should be firm, cold and chunky. Ryan Westover, the pastry chef at Poste in Washington, D.C., explains that the chunks of cold butter will slowly release steam as the pie bakes. And this is important: “By releasing steam incrementally, you give the starches and gluten time to form a lattice, or a sort of balloon,” he says. And this holds the steam in. Additional temperature tips come from Theresa Souther, a pastry chef and head of the Professional Pastry Arts Program at L’Academie de Cuisine, a culinary school in Bethesda, Md. She recommends putting ingredients, including the flour, in the fridge or freezer for 30 to 60 minutes before you begin. And be sure to use ice water to mix the dough. “Cold temperatures help minimize gluten development,” she explains. And if you have too much gluten, you end up with a chewy, rubbery crust. Also, she says, let the dough rest in the fridge after you mix it and before you try to roll it and shape the pie. Cold dough is usually easier to roll and handle. A pie from my photo archives. June 2008.